Whether it’s a simple wooden cross or an elaborate pyramid, people have memorialized their loved ones throughout history. We have an innate need to mark the passing of those that have gone before us. Because there is a lot of emotion involved when you select a grave marker, the process can feel daunting. That’s why we do our best to help family members find the perfect stone and design to commemorate the important people in their lives. Memorials are appropriate for both burials and cremations. They don’t even have to be placed at the gravesite. You can place a memorial on your property, although most stones serve as grave markers. The first step is to know the regulations of the cemetery where your loved one is buried. Almost every cemetery provides guidelines for acceptable grave markers. This keeps things uniform and looking nice. It also ensures that another gravesite does not encroach on yours. Regulations usually include size, style, and the material used. Almost all cemeteries allow granite grave markers and they are the most common choices for price and durability. Other materials you might consider include marble or bronze. Both are popular but much more expensive than granite. With cremation becoming more and more popular, some families purchase one grave space and place the ashes of multiple family members there. This saves the family a substantial amount of money on cemetery lots since a grave space can cost upwards of a thousand dollars. Many cemeteries allow placement of up to eight sets of cremains inside of one grave space. This can vary, so you should always check with your cemetery regarding their policies. Even though the sharing of grave spaces can save a family quite a bit of money, it does mean that you can only have one memorial stone. Etching eight names on a small gravestone that physically fits over only one space can present a challenge. In such cases, you may need to forgo epitaphs or images. Another popular choice is a companion stone. This marks the graves of a married couple and is placed at the time of the first passing. The additional name can be added later. Many headstone companies, like Always in Stone, will deliver the grave marker to the local cemetery and install it for you. They are familiar with various cemetery regulations and can guide you on the best grave marker for your site. 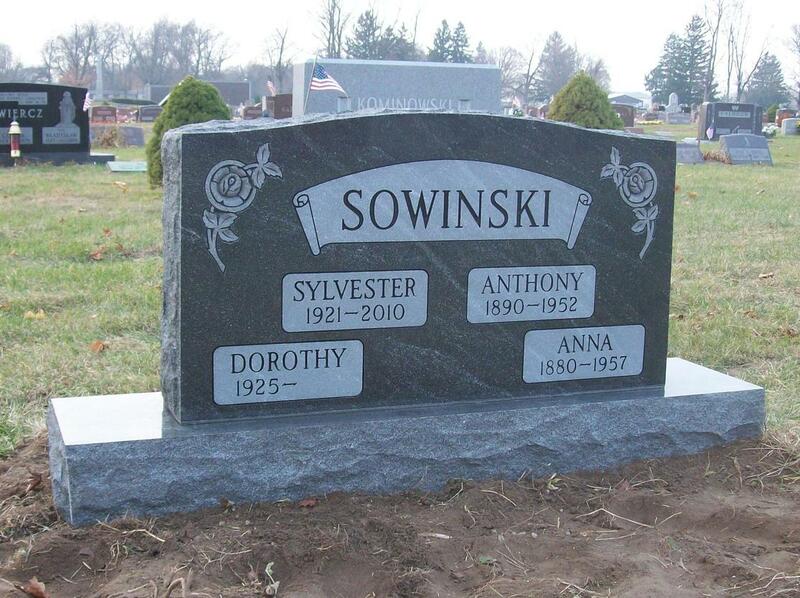 Always in Stone can help you select a grave marker for your loved one. We serve the people of Elkhart County in Indiana. If you want more information on how you can order memorials for married couples or family memorials, come by our showroom or give us a call. We can help you with the design and offer delivery and installation to any cemetery in our service area. Serving: Goshen, Elkhart, Warsaw, Nappanee, Bremen, and all of Elkhart County.